Absolutely complete 100% sinclair C5 in parts on auction. 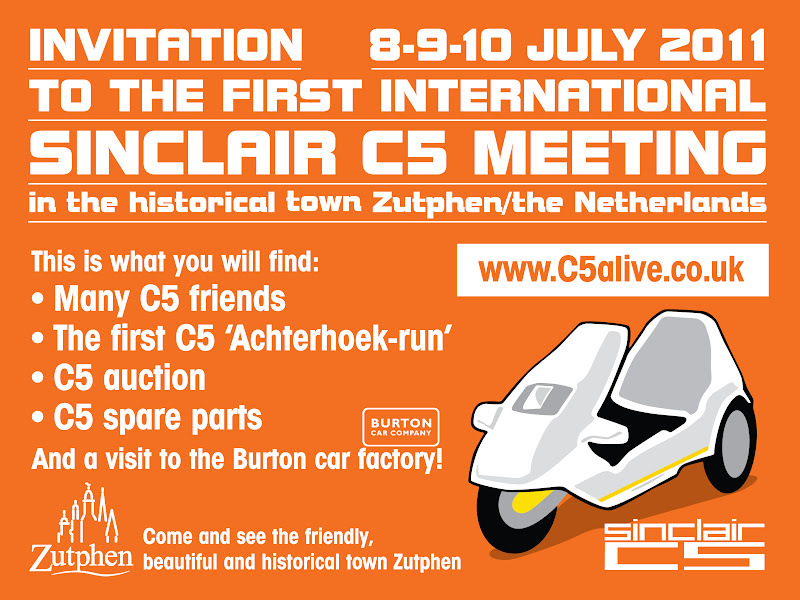 Topic: Absolutely complete 100% sinclair C5 in parts on auction. some chaintensioners, complete chains, wheels, brake sets. chargers, a battery lock with key, and a 100% complete C5 in parts as well as a complete working good looking C5 for the auction in july, this far. More to follow. Re: Absolutely complete 100% sinclair C5 in parts on auction. Might be handy to add that I now have three C5's in good shape. All mirrored, horn kits etc. For sale on the auction in july. If not sold on auction, I will offer them here on the forum. Next week I will have some pictures for you all. Do you have a front wheel cover for sale by any chance? Yes, as a matter of fact I do, but there is a complete Sinclair attached to it. But it isn't july yet, I will keep my eye open for you. I thought I was in luck then but my heart sank when I red the last part of the sentence. Thanks anyway Frank, if one does turn up then I'd really appreciate a shout.